Former Assam chief minister Tarun Gogoi has claimed that the initiative to update the NRC was his “baby” and the BJP has failed to “nurse” it properly due to which a defective draft was published with names of over 40 lakh people missing. The three-time chief minister alleged that the BJP was not interested in solving the problem of infiltration, but to use it as a poll agenda in the next Lok Sabha and state elections. 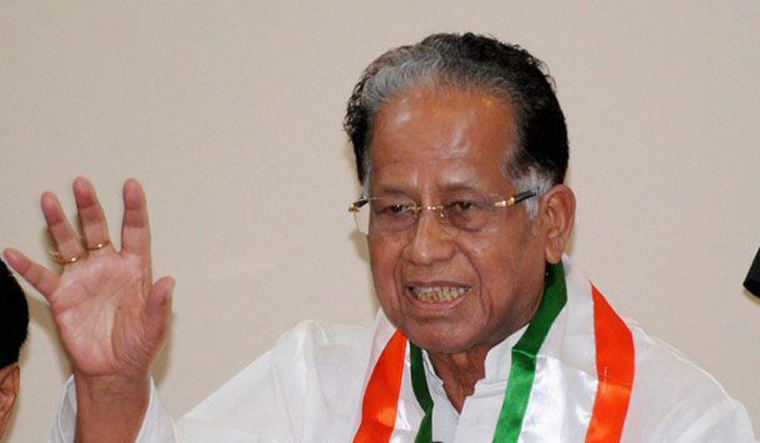 “The BJP has always played politics with the foreigners issue on communal lines and is just not interested in solving the problem,” Gogoi told PTI in an interview. The infiltration issue always crops up before elections, then subsides to emerge again before the next polls. The BJP does not want to solve it as is evident from their introduction of the Citizenship (Amendment) Bill, 2016 which is primarily aimed at bringing in more foreigners, he said. The importance of a correct and updated NRC cannot be denied as in the future, people detected as foreigners can be declared stateless or second grade citizens who will be denied land rights and for whom the taxation rates will be high, he said. “The whole idea was conceived and given birth during my term in office. After I demitted office, the BJP failed to nurse my baby properly and as a result, a defective NRC draft was published with the names of over 40 lakh people missing,” Gogoi said commenting on publication of NRC by the BJP government in Assam on July 30. The BJP will use the NRC and infiltration as a poll issue. They have already started doing it in the northern part of the country and will repeat it in the rest of the nation. “We will have to tell the people that this is the BJP's poll strategy to divert attention from their all-round failure,” Gogoi said. “The BJP always blamed the Congress for giving protection to the Bangladeshis, but the initiative to detect foreigners by updating the National Register of Citizens (NRC) was taken by me with the core objective to determine genuine Indian citizens,” he said. The BJP has always tried to divide the country on communal lines and they are doing the same in the case of identifying foreigners, he added. “We do not play politics with such a sensitive issue. For the Congress, detection of foreigners is the primary objective and the persons religion does not come into the picture at all,” he said. The introduction of the Citizenship (Amendment) Bill, 2016 was done with the aim of bringing in foreigners of a particular religion from Bangladesh and exclude those belonging to another faith, the former chief minister said. “The Bill, if passed, will be like giving a red carpet welcome to foreigners of a particular religion and nullify the objective of NRC with the whole exercise being a complete waste of money, energy and resources,” he said. Gogoi asked why the issue of deportation of the foreigners was not being taken up with Bangladesh and “this too points out that the BJP and AGP want to keep the issue alive for their political gain”. The ongoing NRC in Assam will be the second one in the country after 1951. He pointed out that the NRC was being prepared under the Assam Accord clause of including people who have entered the country before March 25, 1971 and this was the only way it could be done. “I am also demanding that the names of those in the 2014 voters list must also be added so that objections can be raised against those people who may be suspected as foreigners but have found a place in the voters list,” the veteran Congress leader said. “Objections cannot be raised in voters list but it can be done in the NRC and if this is included, the detection of more foreigners may be possible,” he said. “The authorities now must concentrate on preparing an error free NRC as directed by the Supreme Court and ensure that genuine Indian citizens whose names are missing from the draft are not harassed further,” he said. The Congress will always stand by genuine Indian citizens and provide help legally and politically, he added. Gogoi alleged that the number of cases sent to the Foreigners Tribunal during the BJP government's rule had been much less than that of the Congress rule. “During my tenure as chief minister, the work of border fencing, border lighting and patrolling by riverine police was stepped up considerably to restrict entry of illegal foreigner,” he said.